At Orchard Trees we believe that all children are born with infinite potential and wonder. Our role as educators is to support children’s intrinsic curiosities to motivate them to learn. We are strong advocates of giving children the freedom to explore and make their own choices in an environment full of natural interests. We let children take the lead and carve out their own path of discovery. By valuing the individuality of all, we aim to scaffold creative thinking as we undergo a journey of learning together. 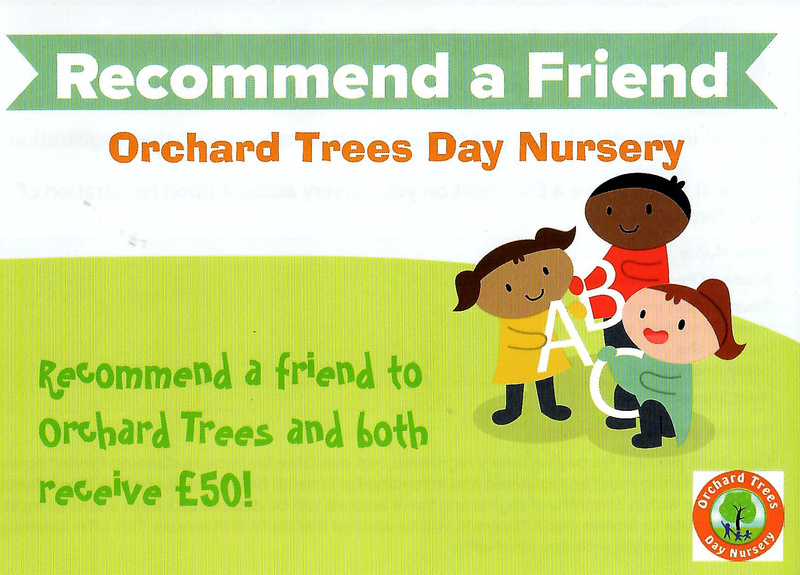 If you are already a happy part of the Orchard Trees family why not recommend us to a friend and you could receive £50 as our way of saying thank you. Pick up a voucher in nursery or get in touch to find out more.